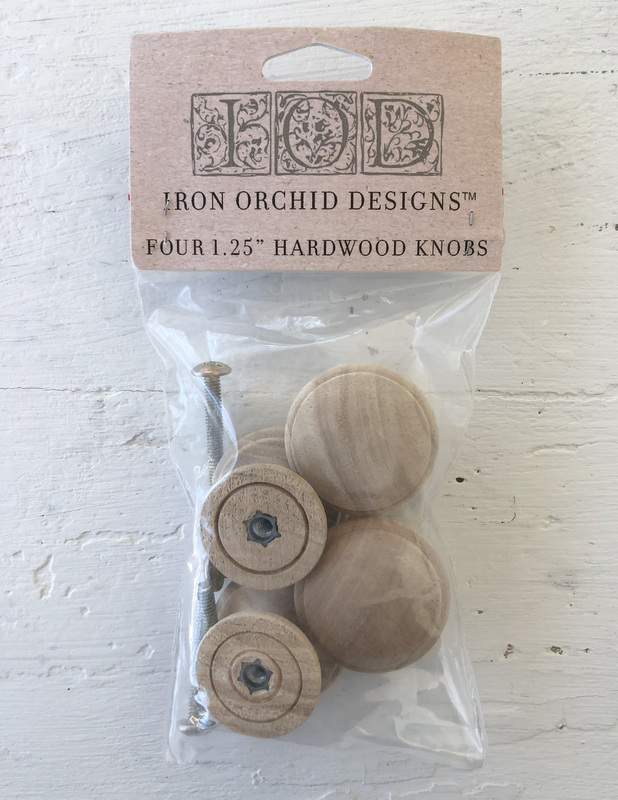 IOD hardwood knobs are a little different than the commonly available wooden knobs. Sure, they will work great for that simple pine dresser, but they work equally well on your more sophisticated pieces. Threaded insert and precision screw for easy and accurate mounting. Elegant profile design for wider applications than most wooden knobs. Hardwood and subtle grain for best use with paint, stain and all your stamping applications. These darling wooden knobs are a cut above with metal screw fixings in back and routed details. knobs are 1.25" and come in sets of 4. Try these out with IOD's Knob Toppers Stamps! These are a blank slate for whatever designs you choose to create.